On one of our Israel tours we did a crazy thing – we ran the rapids of the Jordan River and lived to tell about it (well, with a few scrapes and scratches as souvenirs). The Jordan River has its start in the north part of Israel, actually beginning from three underground streams at Tel Dan, Caesarea Philippi and the Hasbani River (from Lebanon). Here’s the deal – Rain falls on Mt. Hermon, a limestone mountain, very porous by the way. The rain soaks deeply into the mountain then must find its way out. That way out, the beginning points of the Jordan. The headwaters of the Jordan are fresh, clear and very drinkable. The Jordan then flows downstream and empties into the Sea of Galilee. 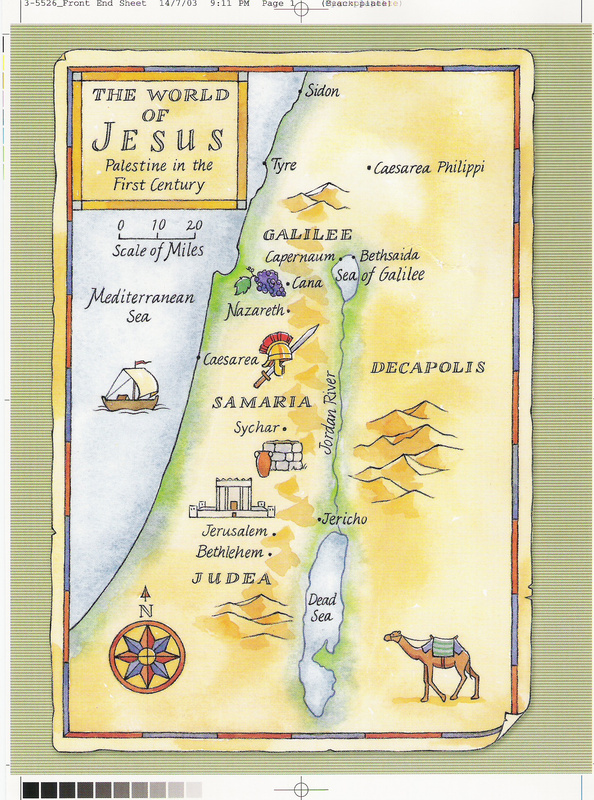 At the bottom of the Sea of Galilee, the Jordan continues its journey down to where it literally ends at the Dead Sea, with no outlet from there. I noticed a curious thing regarding the flow of the river. The further it got from the source, Mt. Hermon, the dirtier it got. Just below Galilee is the traditional site of Jesus’ baptism. We have baptized folks there on every tour. Sadly, the waters at that site are quite dirty with scum, leaves, twigs, and who knows what else. DON’T drink the water! The Jordan flows into the Dead Sea and has NO outlet. Here’s what happens – the Dead Sea evaporates. In fact, it is evaporating at an alarming rate (and that’s a whole other issue to discuss sometime). The Dead Sea is filled with such a high mineral and salt content that nothing…yes that’s right NOTHING can live there – no fish, no vegetation, nothing. Uh, that’s why they call it the DEAD Sea. In our spiritual walk, we are like Mt. Hermon, allowing the water of the Word to soak deeply into our lives. We MUST stay close to the source – the pure, spiritually drinkable Word of God. The further we get from the source the more impurities we pick up. I have fallen into that “picking up impurities” trap all too many times. Can I hear an amen, considering that is probably your challenge as well? Finally, as we take in the Word of God and have no outlet, we eventually evaporate in our spiritual walk with the Lord. The last point is why we need to allow John 7 to be active in our lives – we need to be an outlet for the rivers of living water to a thirsty generation. TODAY, as Jesus challenges us, if we believe in Him …from our innermost being shall flow rivers of living water…to those with whom we come into contact in life’s journey. Is The River flowing free and clean through us? stankellner.com © 2010. All rights reserved.